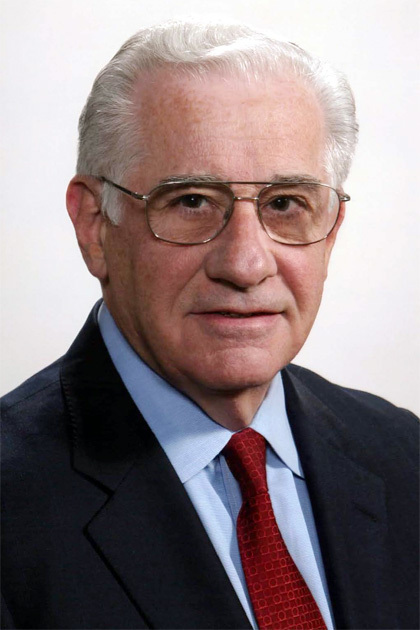 Dr. Darryl C. De Vivo, M.D., is the Sidney Carter Professor of Neurology, Professor of Pediatrics, and Director Emeritus (1979-2000) of the Pediatric Neurology Service at Columbia University Medical Center in New York City. Dr. De Vivo received his M.D. Degree from the University of Virginia Medical School. Residency training in Medicine, Pediatrics, Neurology and Pediatric Neurology followed at Harvard, National Institutes of Health and Washington University. He then joined the Medical School Faculty at Washington University and over the next decade was promoted from Assistant Professor to Professor as he developed his clinical research skills in neurochemistry, metabolic diseases and neuromuscular disorders. He joined the Columbia University Faculty in 1979 as the Sidney Carter Professor of Neurology and Pediatrics and Director of the Pediatric Neurology Service. Currently he continues to fulfill his duties as Founding Director, Colleen Giblin Research Laboratories; Director, Pediatric Neuromuscular Disease Center, Co-Director of the Center for Motor Neuron Biology and Diseases (MNC) and Associate Chairman (Neurology) for Pediatric Neurosciences. Dr. De Vivo was a Director for Neurology and President of the American Board of Psychiatry and Neurology, Secretary of the American Academy of Neurology, and President of the Child Neurology Society. He has published more than 450 original articles and reviews, lectures extensively in the U.S. and abroad, serves on several editorial boards and advisory committees, and is a former associate editor for Rudolph's Textbook of Pediatrics. He is a current editor of "Neuromuscular disorders in Infancy, Childhood and Adolescence: A Clinician's Approach", recognized as the standard reference in the field. Dr. De Vivo receives funding from the NIH, DOD, SMA Foundation, MDA, Colleen Giblin Foundation, Milestones for Children and the Will Foundation. He serves as the Director for the PNCR Clinical Trials Network for SMA. Research Interests: Genetically-determined metabolic diseases that affect the developing brain and neuromuscular system. Specific disorders include Glut1 deficiency, mitochondrial diseases, epilepsy, Duchenne muscular dystrophy, Spinal Muscular Atrophy (SMA) and other pediatric neuromuscular diseases. Clinical Interests: Child neurology, neuromuscular disorders, neurometabolic disorders, and neurogenetics.